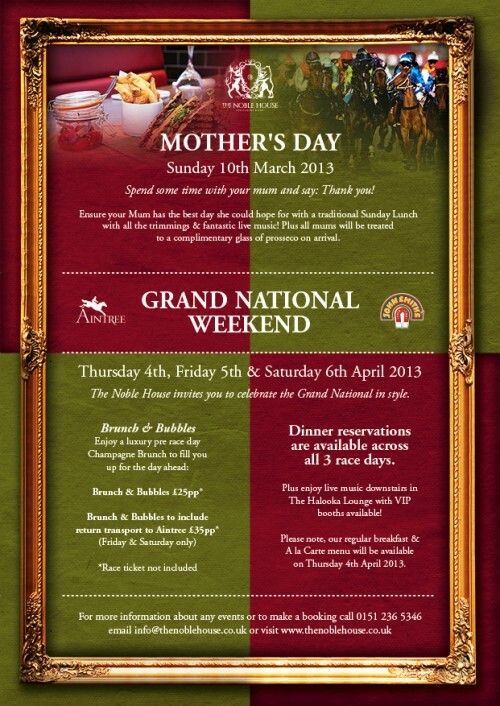 In anticipation of Mother’s Day and the Grand National Weekend, igoo have created promotional artwork to celebrate the events and special menus, which are available at The Noble House restaurant. Based in Brunswick Street, Liverpool, The Noble House is the perfect place to head to treat your mum this Mother’s Day and will kick the Aintree celebrations off in style ensuring you have a brilliant day, even if you don’t win any races. igoo also designed the full website for The Noble House.